In 1941, Lubitsch signed a three year contract with Paramount Pictures. But first he had another commitment to fulfill with United Artists;To Be or Not to Be was part of that arrangement. Though the original story for the film was mostly Lubitsch's, the project that evolved was something of a departure for the director. As he later remarked, "I was tired of the two established recognized recipes, drama with comedy relief and comedy with dramatic relief. I had made up my mind to make a picture with no attempt to relieve anybody from anything at any time." 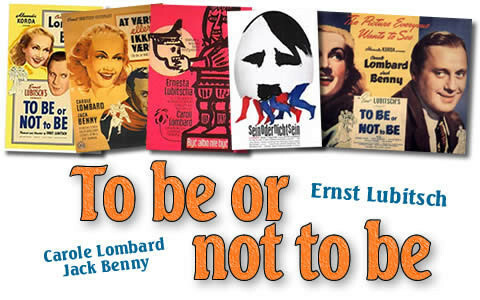 To Be or Not to Be is a comedy both black and broad; it is also a sophisticated and razor sharp satire on the Nazis. 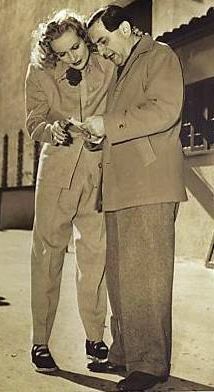 Lubitsch chose radio superstar Jack Benny for the male lead. Benny, who later observed that it was "impossible for comedians like me and [Bob] Hope to get good directors - that's why we made lousy movies," considered Lubitsch "the greatest comedy director that ever lived" and was eager to work with him. Though Miriam Hopkins was up for the role of Benny's onscreen wife, she was only interested in taking the part if it was enlarged for her. Jack Benny was meanwhile pushing for Carole Lombard in the role. One night Benny and producer Alexander Korda went out on the town together; much drinking ensued and the upshot was that Korda wired UA and asked the studio to hire Lombard. Lubitsch and Lombard knew each other from her early days on the Paramount lot. While the director had made pictures with the other great Paramount leading ladies, Claudette Colbert and Marlene Dietrich, he and Lombard had never managed to work together. Lombard's husband, box office king Clark Gable, was not excited about To Be or Not to Be and referred to Lubitsch as "the horny Hun." But Lombard had always wanted to work with the director and signed on; her only special request was that Irene design her wardrobe. The production had its share of problems. To begin with, Jack Benny was jittery. According to co-star Robert Stack, he was "scared to death." Benny's source of discomfort was that while he knew how to deliver his lines on stage and on radio, he was much less sure of himself on a movie set. This made him very nervous. Another problem concerned musical director Miklos Rozsa. Rozsa was set to score the film but once he saw the script and realized it was a satire on Nazism, he refused; he just didn't see the humor. Regardless of these and other difficulties, the atmosphere on the set was a happy one. Lombard developed a habit of driving in from Encino, even when she wasn't scheduled, just to watch Lubitsch at work. According to Jack Benny, "Everyone was in awe of him." To Be or Not to Be opens in Warsaw, Poland, just before the Nazi invasion. A man who appears to be Adolf Hitler is walking the streets, creating a stir. The man, it turns out, is not Hitler but a local actor named Bronski (Tom Dugan) who is about to portray Adolf Hitler in an anti-Nazi play; he is testing his believability in public. The plot centers on the acting troupe Bronski is part of, the Theatre Polsky, and its two stars, Josef and Maria Tura (Benny and Lombard). The troupe is rehearsing an anti-Nazi play, Gestapo, but is forced to revert to a less controversial drama, Shakespeare's Hamlet. A running gag concerns Maria, who is being romanced by a young pilot (Robert Stack). Whenever Josef begins Hamlet's "To be or not to be" soliloquy on stage, Maria's eager young man conspicuously shuffles out of his theater seat. The walk-out of an audience member in the midst of this speech completely flusters the actor (who has no idea why the man has left). Josef Tura's Hamlet is heavy on the ham and, as one Nazi character remarks, "What he did to Shakespeare we are now doing to Poland." The troupe eventually becomes involved with the Polish resistance. Lombard is well-matched with Benny, who would never have a better film role. The two shared exquisite timing and much panache, and their scenes together could be shown in a master class on playing comedy. The fine ensemble cast includes venerable Felix Bressart (as an actor relegated to "spear carrier" roles but who has his moment to quote Shakespeare, eloquently) and Lionel Atwill along with Sig Ruman, Stack and Dugan. 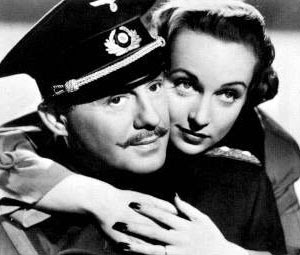 The picture wrapped just before Christmas 1941, and Carole Lombard promised Jack Benny she would guest on his radio show once she returned from an upcoming war bond drive. But on the evening of January 16, 1942, the plane returning Lombard and her mother from the bond drive, along with 20 others, crashed into a mountain west of Las Vegas. All aboard were killed. Apparently the pilot had changed course, flying toward Las Vegas rather than his official destination, Boulder, Colorado. The plane had almost missed the mountain peak, crashing only 120 feet from the top. To Be or Not to Be premiered on February 15, 1942. It was not a hit. Some critics claimed Lubitsch had suffered a lapse in taste. Churlish Bosley Crowther of the New York Times accused the director of going for cheap laughs. Robert Stack later said that the press of the time just didn't get it. He noted that Lubitsch was "a Jew from the Old Country himself" and declared that To Be or Not to Be was the best satire on Nazism ever made. Lubitsch was appalled that his intent and his taste were both misinterpreted and maligned. He acknowledged that he hadn't depicted Nazi terror in the typical way, with outright violence: "My Nazis are different; they passed that stage long ago. Brutality, flogging and torture have become their daily routine. They talk about it the same way as a salesman referring to the sale of a handbag." It isn't surprising that critics and audiences of early 1942 may not have warmed to or understood Lubitsch's approach. The country had suffered Japan's attack on Pearl Harbor and entered World War II just as the production of To Be or Not to Be was coming to an end. Those early days of the war were deeply patriotic times in the U.S. and the outcome of the conflict was still far from certain. Other wartime movies generally presented a more traditional portrait of our enemies and their victims - unequivocal, distinctly unfunny and in stark black and white terms. Lubitsch's witty satire had arrived in American theaters at the wrong moment. But the passage of time has been kind to To Be or Not to Be. It long ago entered the pantheon of Lubitsch's great masterworks - that very special place where Ninotchka (1939) and The Shop Around the Corner (1940) also reside. 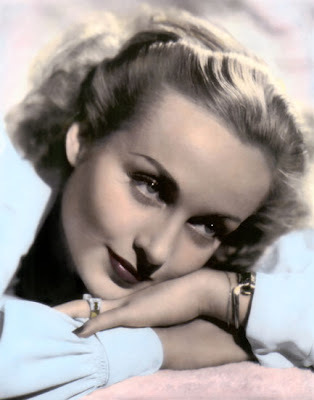 Carole Lombard, a natural as Maria Tura, was never more elegant or disarming. Though her character is clearly 'a woman of affairs,' Lombard endows her with so much warmth, humor and humanity that Maria is never less than entirely sympathetic. Such was Lombard's irreplaceable talent. This post is my contribution to Carole & Company's "Carole-tennial (+3)," marking the 103rd anniversary of Hollywood legend Carole Lombard's birth. As always - super! Looking backward, everyone involved was so courageous to make this film. Like Chaplin's "Great Dictator," the sting was done with comic flare. Of course, Carole's participation is tinged with sadness. No matter if you liked her or not, her last movie was a a statement against evil and she died for her country. What a woman. As beautiful and funny as she was, it brings a tear to my eye. Through this blogathon I have developed a new appreciation for her. Great post, Lady Eve. box office king Clark Gable, was not excited about To Be or Not to Be and referred to Lubitsch as "the horny Hun." LOL! I didn't know that, Gable the big screen lover was worried about Lombard being seduced by Lubitsch. I love Jack Benny! On his TV show he used to do so much with so little, just a small turn of his head. I don't think anyone ever had better comedic timing. Whenever I watched this film I can easily see the influence Lubitsch had on Billy Wilder, the setups, the jokes, the writing style and even the accusations of having bad taste are all there. The film is in the pantheon of great comedies. Wonderful review Eve, as always! Excellent entry -- I learned a few things about the film I didn't know before. (And considering the many years I've examined Lombard's career, that is saying something.) Thank you for your contribution to "Carole-tennial(+3)!" 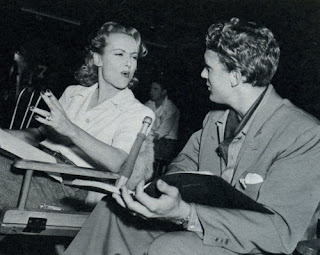 First, many thanks to Vincent (VP) for hosting this blogathon in Carole Lombard's honor. Every entry I've read is a wonderful reminder of her unique and bountiful talents. She was one of a kind; a great loss and too early. I've always wished she'd made more films with Cary Grant - and as I wrote about "To Be or Not to Be" I realized she was an ideal match with Lubitsch and regretted there weren't more Lombard/Lubitsch collaborations. FlickChick - I was was struck, too, by the bravery of those who made "To Be or Not to Be" - the source of its acid satire had to be Lubitsch's own barely contained rage at the situation in Europe... I should add that if Lombard was fated to die when she did, I'm thankful her final film was this bold comedy masterpiece. John - I fell in love with Jack Benny through "To Be or Not to Be" - you know, Benny himself said that Lubitsch was the only director to actually direct him - others just gave him free rein. Lubitsch chose him for the part because he considered Benny an actor not a comedian. And then there's Lombard - easy to see why Benny fought for her to be cast. Paul - I love this movie and you are so right, it works on many levels. When I first saw it I was almost shocked, though not offended, by the humor. I was used to seeing the Nazis portrayed in wartime movies as pure evil - not arrogant buffoons. My love for "To Be or Not to Be" has only deepened over the years. An excellent review! Carole Lombard had such a flair for comedy, but her serious roles we're equally well acted. Although here, Jack Benny really stole the show. There'll never be another like him again. Thanks Eve, for another wonderful and insightful blog. Hello, Birdie - You make an excellent point. As mentioned, when she was under consideration for the part, Miriam Hopkins wanted the part of Maria Tura enlarged for her. Lombard had no such qualms and took it as-is. It is a real showcase for Benny, no doubt, but Lombard is also note-perfect in each of her scenes as well as a fine comedy partner for Benny. Lombard's attitude makes a point Hopkins may have missed: quality is as important as quantity. Eve, as always,a great review. To Be or Not to Be is my second favorite Lubitch film...or maybe it's tied with Ninotchka for first --I can't decide! Anyway, I don't think America was ready for a satire of the German menace when this was released. It has aged extremely well...just like the original Producers and it's own 1983 remake by Mel Brooks. What a last film to make for Lombard. Eve, "To Be or Not to Be" doesn't sound like it should work, but it does beautifully, and I would say that's largely down to Lubitsch. 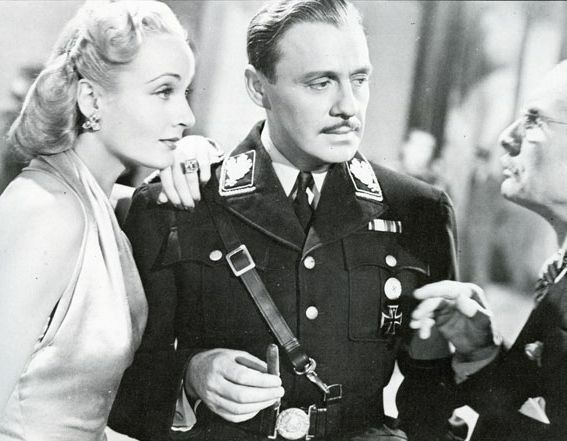 That great quotation from Billy Wilder about the elusive Lubitsch touch being a light touch explains, I think, why this film works so much better for me than Chaplin's similar but in comparison heavy-handed "The Great Dictator." I've always thought Benny was more enjoyable in his movies than he was given credit for (even by himself). He's great here, but Lombard is equally good. I absolutely agree that Benny and Lombard have great rapport--a sort of comedy yin and yang--and make a wonderful if unlikely team. I also agree with you when write that Lombard "was never more elegant or disarming." She seemed a natural comedienne, but I don't think anyone ever brought out the delicacy of her comic instinct the way Lubitsch did here. A great post that touched on all the reasons this is such an enjoyable movie. R.D. - Your observation on the Lubitsch/Lombard collaboration, that no one "ever brought out the delicacy of her comic instinct the way Lubitsch did here," is most perceptive - and accurate. Lombard's performance is very interesting, It could be called subtle self-assurance kissed with a 'light as air' quality. It seems to me Lubitsch brought out something similar with James Stewart in "The Shop Around the Corner," and he certainly elicited from Margaret Sullavan the best performance of her film career. Billy Wilder had such reverence for Lubitsch - and had a lot to say about his 'touch' (including that if he could really define it, he would patent it). He asked Saul Bass to design a sign for him with his mantra/motto on it: "How would Lubitsch do it?" It hung in Wilder's office til the end of his career and beyond. A fantastic post about one of my favorite Lombard films. Well done! I love this movie...but like much of Mel Brooks' work, including his "Springtime for Hitler" number and "The Inquisition" from History of the World Part 1, some people don't get it and think this kind of humor is just awful. I am just the opposite. My sense of dark and ironic humor is food for laughter and thought. It was my own town, Indianapolis, where Carole did her bond drive appearance and flew out to her death. We have pictures here of her standing on our Monument Circle. You can't help but wonder what was to come for her career, and her marriage to Gable. I enjoyed this very much, Eve. I'm a bit late to the party! But I must say that your contribution was perfection as usual. I really enjoyed the 'behind the scenes' look at Carole's last film. I would have imagined that her last film would have been a hit considering, well it would be the last time audiences could see her on the silver screen. I really wasn't crazy about this film though compared to others on her resume. I loved Lubitsch description I had made up my mind to make a picture with no attempt to relieve anybody from anything at any time." And it would seem many directors have taken that same approach considering their stink bombs. Really enjoyable as always Eve. A great tribute to Carole, Lady Eve. She was unique, and one can only imagine the films she could have kept on making. She was a beauty too, and Irene had become her favorite costume designer. My great aunt was the costume cutter/fitter at RKO when Carole Lombard made her next to last movie, Mr. & Mrs. Smith. Everyone loved her. Becky - When I was young I had the idea that Lombard was older than 33 when she died because she seemed to have been in movies 'forever' - I was wrong, she'd just filled her years with a series of great classics. Page - The Lubitsch bio that I referenced for this post devoted many pages to "To Be or Not to Be" and was filled with interesting details. Wish I could have included more than I did. Christian - I've always read that Lombard was much beloved by cast and crew (and the Lubitsch bio I read concurs). She seemed to be genuine, a rare quality in a glamorous business, it seems. I wonder if you have stories from your great-aunt's Hollywood years that you'd like to share? I really enjoyed learning more about the film, To Be or Not to Be". Lombard and Benny, are great together. I really would not have thought of putting them together in a film. But, some how it works. Hi Dawn - I think R.D. pegged it when he wrote that Lombard and Benny "make a wonderful if unlikely team." Lombard was no doubt skillful at adapting to her co-stars - think of how well-paired she seemed with Barrymore, Wm. Powell, Fredric March, James Stewart, Cary Grant, Robt. Montgomery. A superb write-up Ms Eve. It's hard to imagine how controversial "To Be Or Not To Be" was at the time, but I suppose if someone had done a comedic film on terrorists shortly after 911 it would have also sunk like a stone. As the old saying goes, "tragedy plus time equals comedy" - in the case of this wonderful film, the time part was WAY to soon. Of course, if the american public in 1942 had been fully aware of just how horrendous the deeds of the Nazis actually were, there probably would have been even less of them laughing. This film was a brilliant commentary but when it came to being commercially successful it was decades too early. I've never heard anyone say or write a negative thing about Carole Lombard - she seems to have been universally loved by all who knew and worked with her. She was a great and unique talent. Your writing really helps bring her and "To Be Or Not To Be" to life. As long as we have the film, she'll be with us. MB - It's possible that a satire on the Nazis might've been more popular with American audiences had it been released earlier, before Pearl Harbor. In any case, though, it was extremely sophisticated and perversely clever, a bit much for typical Americans of the early '40s, I think. Great post Eve! Carole Lombard really shone in the film. We feel this was probably the best role of her career, that as you said sadly came to an end shortly after the film's release. Thanks for blog entry. You really have a way with it all. Keep blogging! Hello SPEEDbit - Glad you stopped by...I'm happy to know another Lombard fan and that you enjoyed my post about her last film. Thanks! Losing Carole Lombard so young is one of the greatest tragedies of film but To Be Or Not to Be was certainly an excellent swan song for her. This film is also one of my favorites from Lubitsch (and he is one of my top favorite directors). Although Trouble & Paradise will always take the top spot for me. I know there was controversy surrounding this film but never once did I find it insensitive. In fact I think making fun of the Nazis was ingenious. Although Lubitsch had a longer life than Carole Lombard, he did not live to be an old man. After a series of heart attacks he died in 1947 at age 55. Eve, TO BE OR NOT TO BE is another one of those movies that I've only been able to see in bits and pieces for one reason or another, and I've always enjoyed what I DID see so much that I keep meaning to catch up with it. I shall now make a greater effort to catch it and watch it from start to finish next time! Shifting gears, Eve, beaucoup congratulations on your CiMBA victory! You're most deserving indeed! 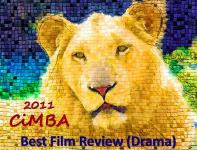 Congratulations Lady Eve on your CMBA Awatd for Best Movie Review for The Private Lives of Elizabeth and Essex. Well done and well deserved! Dorian - I love "To Be or Not to Be" and hope you have a chance soon to see it. Lubitsch at his most sublime. Thanks Dorian and Christian for the congrats - I'm very thrilled about the CiMBA award and also very surprised. I so enjoyed reading about one of my favorite films, Eve. Great post. I think this and TWENTIETH CENTURY are my two favorite Carole Lombard films. I posted about TO BE OR NOT TO BE on my blog a while back. It's a film not as well known as it should be, I think. I enjoyed Mel Brooks' version of TO BE OR NOT TO BE, but no where near as much as Lubitsch's. I agree with you on most counts, Yvette. "To Be or Not to Be" definitely deserves more recognition, a real work of genius (and I'll be over to check out your take on it, by the way). Also agree that, enjoyable as the Brooks version was, Lubitsch is Lubitsch and untoppable. I'm a real fan of Lombard's and like her in just about everything I've seen of hers - my other favorites may be "My Man Godfrey" and, believe it or not, "Mr. & Mrs. Smith" (if only Cary Grant had been her co-star it might've been one of her great classics). As far as underrated Lubitsch classics are concerned, let's not forget "The Smiling Lieutenant" (1931), where Maurice Chevalier, Claudette Colbert and Miriam Hopkins sparkle; the latter two teaming for "Jazz Up Your Lingerie" near the end is one of the most delicious segments in pre-Code history. A subtly outrageous film. This movie is one even my husband will watch with me, and he usually has a distaste of anything black and white. Lombard was spectacular in her role. If she'd lived, she would have gone on to even greater performances, I think.